€ 100,00 € 121,00 VAT incl. 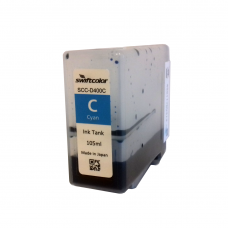 The SwiftColor SCC4000D Ink Cartridge Cyan (105 ml ink) is one of the four colours used for the SwiftColor SCC4000D Printer for printing Full Colour Images and/or text printing in one colour. These ink cartridges are specially designed, tested and approved for the Swiftcolor Printers. Designed to ensure high quality images and text. Original Swiftcolor Consumables offer the best performance and extended life of your printer. 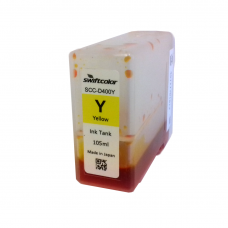 The SwiftColor SCC4000D Ink Cartridge Yellow (105 ml ink) is one of the four colours used for the SwiftColor SCC4000D Printer for printing Full Colour Images and/or text printing in one colour. 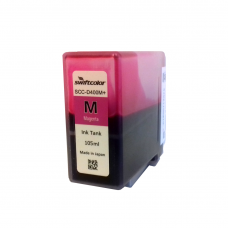 The SwiftColor SCC4000D Ink Cartridge Magenta (105 ml ink) is one of the four colours used for the SwiftColor SCC4000D Printer for printing Full Colour Images and/or text printing in one colour. The SwiftColor SCC4000D Ink Cartridge Black (105 ml ink) is one of the four colours used for the SwiftColor SCC4000D Printer for printing Full Colour Images and/or text printing in one colour.